The #1 replacement transfer cylinder jacket for Heidelberg presses in the world. The cross linked orange silicone coating reduces the surface energy of the PrintGuard ® glass beaded surface. This means that ink will not stick to the orange surface. Less ink attraction makes for less marking which means more profit. 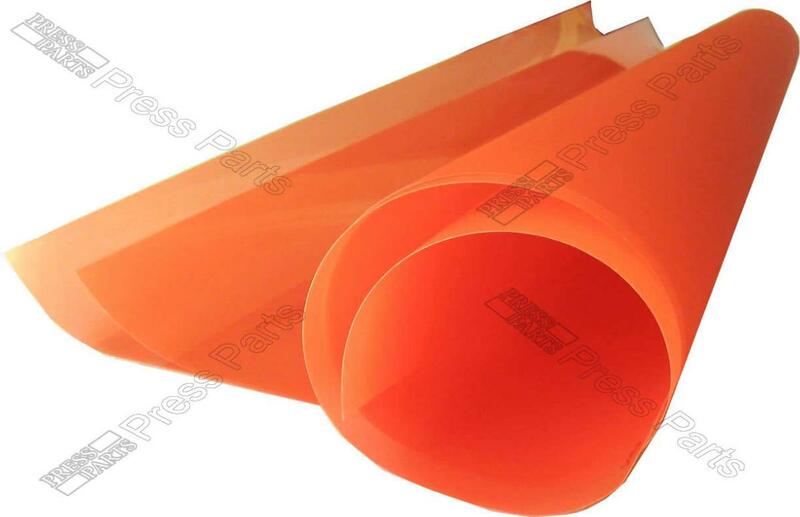 This is the replaceable sheet for the PP1368 anti-marking jacket XL75 system and comes ready taped and cut to size. For proper care, inspect daily and clean as required with a good quality, lint free cloth and mild water based/miscible press wash diluted 50% with water.